Love the flowers on Mediterranean coast. Since I would like to share these with you, I brought lovely flacons with me to holidays in order to shoot in open air. This week and next week there will be four perfume reviews on the blog. I would like to start with a gorgeous Alien who landed to our garden. It comes from a jewel land and has only one eye. This magical eye transforms your skin into a bouquet of flowers of sun such as Tiare and Heliotrop. 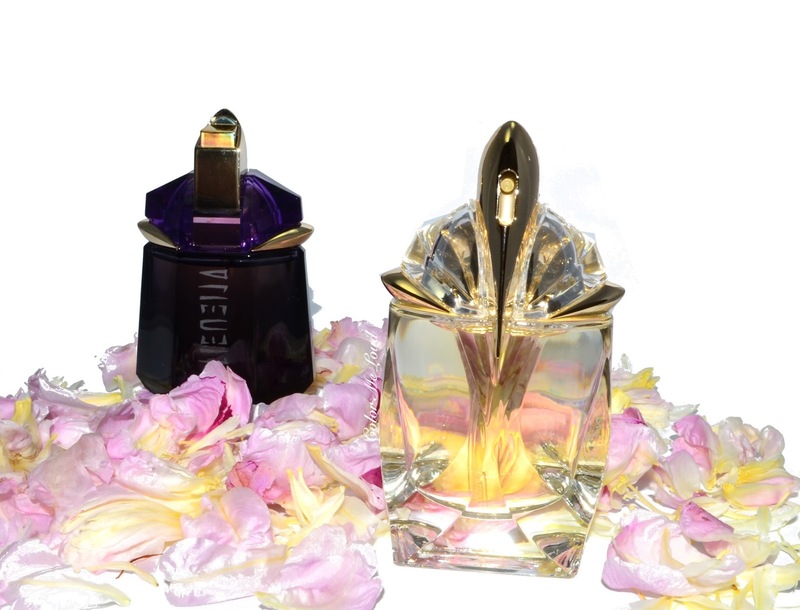 If you find violet Aliens too prominent, Thierry Mugler Alien Eau Extraordinaire is now available in refillable Talismans. Alien Eau Extraordinaire carries the fingerprint of the original by the presence of white amber in its base in combination with cashmere wood. Jasmin in Alien is replaced by more cheerful and lighter flowers such as Tiare and Heliotropes. The flacon is transparent with golden details to match the light yellow perfume. Citrusy opening of Neroli (orange) with a touch of aromatic bergamot tea develops into a sweet floral heart of light floral heart with Tiare and Heliotrop. Soon enough white amber reveals itself but takes time until the woody notes balance it out. In the dry down Alien Eau Extraordinaire is much closer to the original version although it is much lighter and easy going. Whenever I read a review of Thierrry Mugler on a blog, there is a big discussion going on between people who like it and people who don't. In my book its success lies on the fact that it proposes its own aesthetics without the need to change itself to what others find as pleasant. It is edgy and therefore you can't expect everyone like it. I enjoy Thierry Mugler Alien Eau de Parfum occasionally for an evening out and appreciate this distinct creation. In case you are not an Alien lover though, chances are that you might like the light hearted sister Thierry Mugler Alien Eau Extraordinaire. I recommend you to take a whiff. 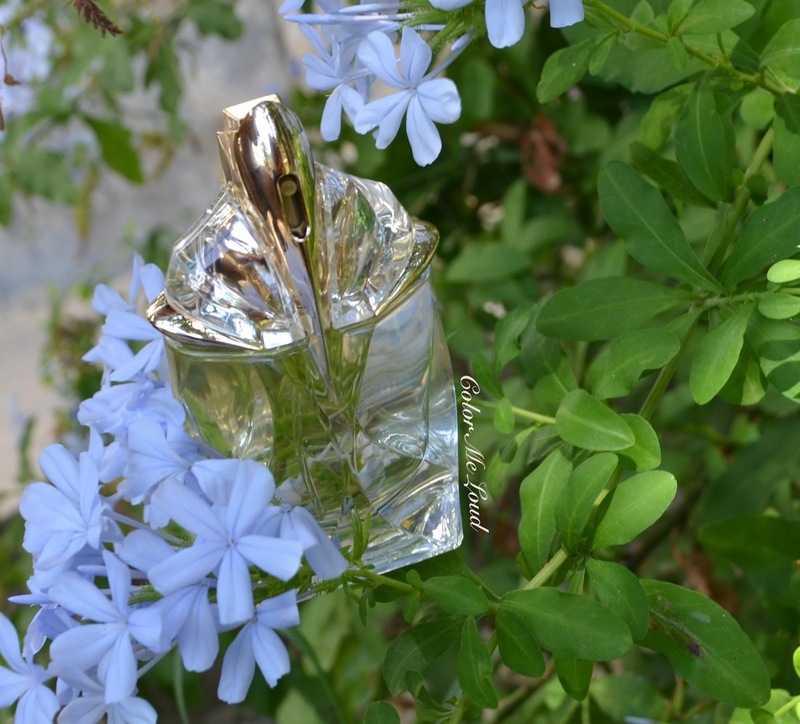 Final thoughts: Thierry Mugler Alien Eau Extraordinaire is a lovely light hearted Alien version which carries fingerprints of the original although it develops very different on me until it reaches the dry down. Lasting power is moderate to long for Eau de Toilette concentration. 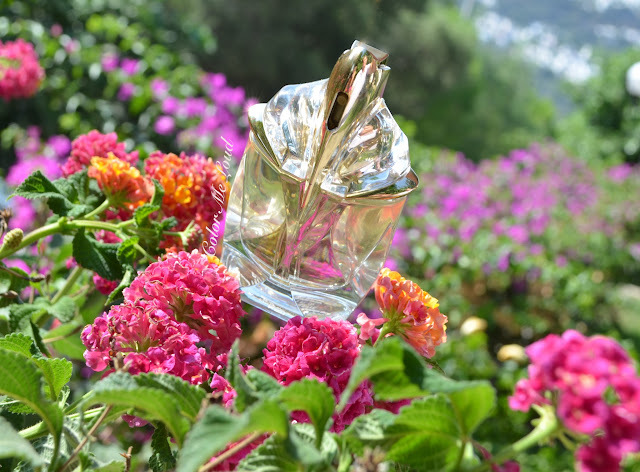 Alien Eau Extraordinaire makes a good companion for Summer nights if you like to add a few sugar cubes to your tea and enjoy some flowers in your fragrances. Do you like Alien? What is your favorite flower in your summer perfume? I am to paid for this review. All opinions are honest and my own. are always so gorgeous, their design team is incredible. the original is really great when the weather gets a little colder. It is very unique. I am planning to write about it next season too, although probably there are so many reviews of it, I still would like to share my feelings about it. Flacons are beyond gorgeous, love!